Stuttgart spreads across a variety of valleys, parks, and hills--many of them covered by vineyards. This urban setup over a mosaic of landscapes is rather unusual for a German city. 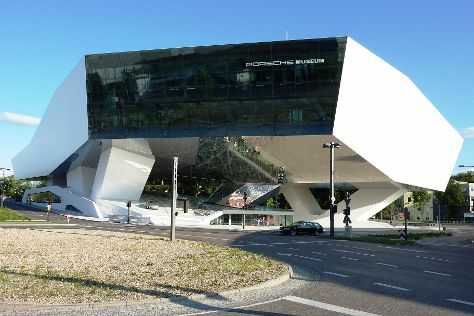 It often surprises visitors who primarily associate Stuttgart with its industrial reputation (The city is the birthplace of the German auto industry.) So much more than just the official home of Mercedes-Benz and Porsche, Stuttgart boasts vibrant nightlife and cultural scenes. You can spend plenty of time in the myriad world-class restaurants, galleries, and museums. Calling itself the New Heart of Europe, this big city boasts plenty of things to do and is becoming an increasingly-attractive holiday destination for foreign visitors. They flock here to experience the small-town atmosphere, inner-city architecture, and suburbs filled with castles, wineries, breweries, and landscaped gardens. Stuttgart is in Baden-Wurttemberg. Explore the family-friendly attractions of Stuttgart and add them to your vacation plans using our Germany trip itinerary builder tool . Stuttgart's city center offers a number of lodging options near major sites, but consider areas just outside the center for better deals. For example, Stuttgart-West is within walking distance from the center and boasts its fair share of cafes, restaurants, markets, and theaters. Two more areas, Stuttgart-Ost and Stuttgart-Süd, are also centrally located and full of local character.